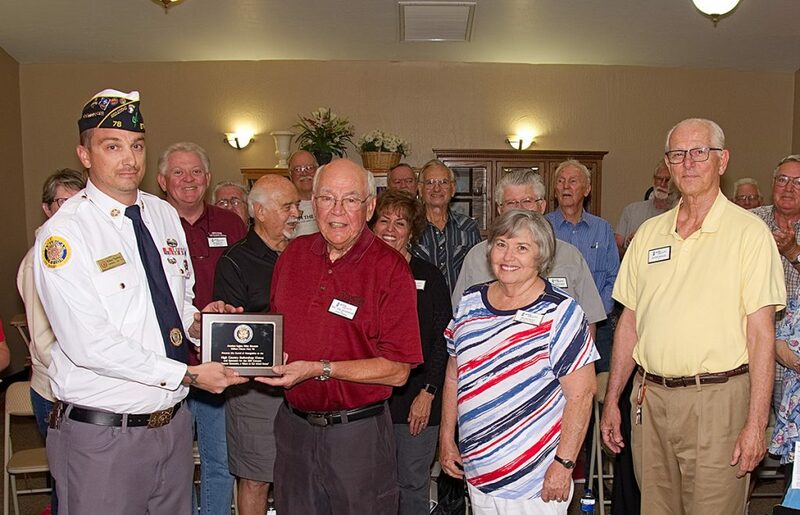 On Tuesday August 29th, American Legion Post 76 of Show Low presented an award and special recognition to the High Country Barbershop Chorus for support of veterans. Post Commander Nathan Thedford attended the Chorus rehearsal at the Show Low Senior Center to make the presentation to all of the assembled Chorus members and The Better Half Notes. 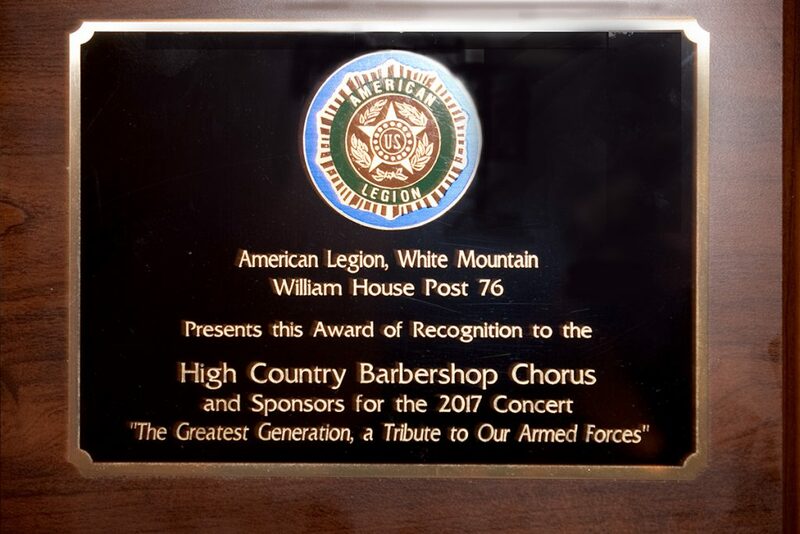 The award reads: “American Legion, White Mountain, William House Post 76 presents this award of recognition to the High Country Barbershop Chorus and sponsors for the 2017 concert “The Greatest Generation, A Tribute to Our Armed Forces”. 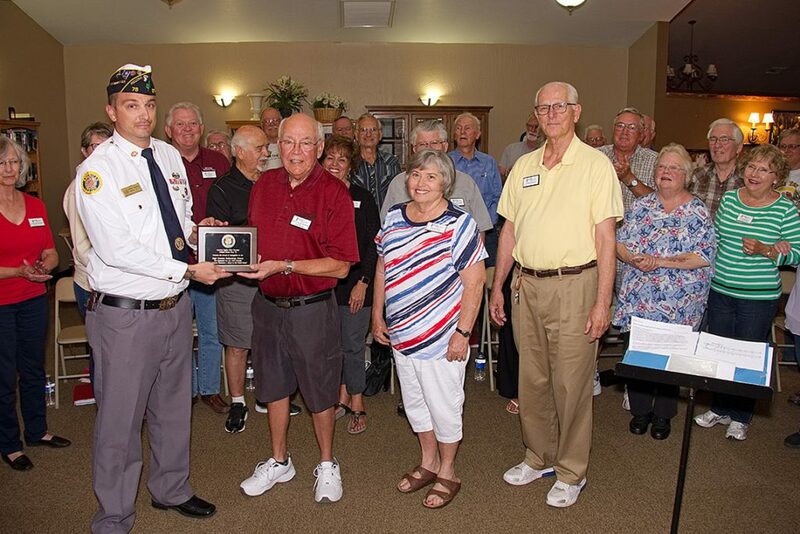 Accepting the award from Commander Thedford L to R, Doc Dockendorf Director, Nicole Bolt for The Better Half Notes and Duane Krause who sought out WWII veterans for free admission to the concert where they were recognized individually for their service. An ice cream social for all followed rehearsal and a collection of cash was taken to send to Hurricane Harvey Relief. Click here to learn more about the Better Half Notes.